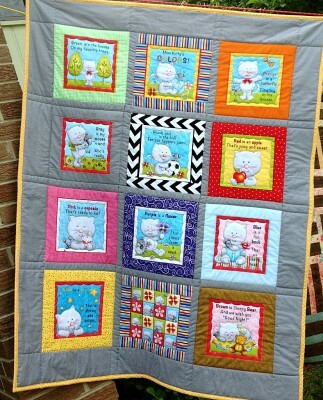 This cute baby quilt has a poem for its text: "Green are the leaves on my favorite trees, Orange is a butterfly floating on the breeze..." The last panel says, "Brown is sleepy bear and we wish you 'Good Night!'" 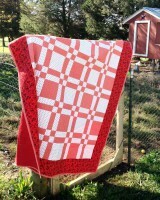 What a perfect quilt for a night time snuggle. 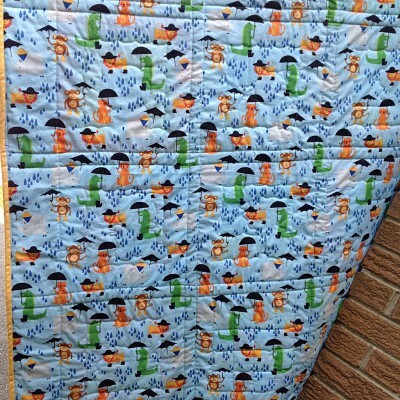 The backing is a bright and cheery scene with raindrops and grinning animals with umbrellas. 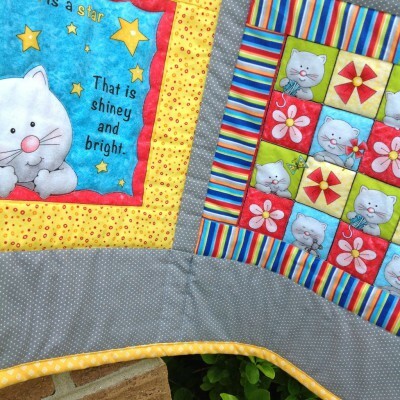 The border of soft grey dots makes this a fun quilt for any baby's room.